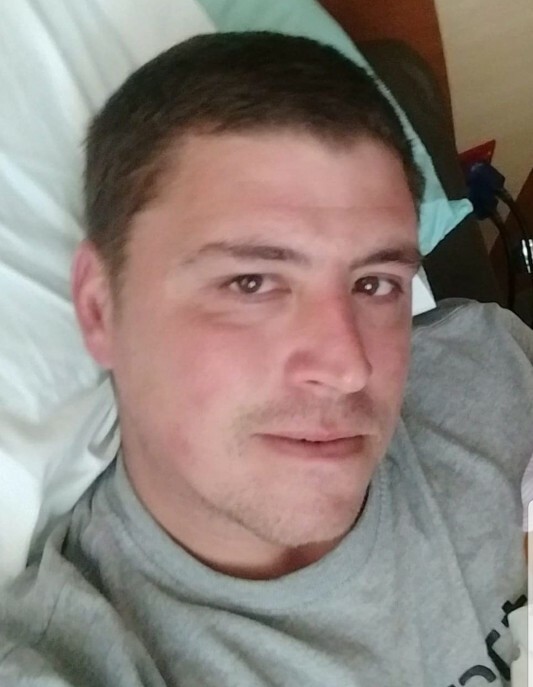 OBITUARY - David Leon Dalme, 33, of Herington, died Sunday, April 7, 2019, from injuries received in a motorcycle accident. He was born July 15, 1985, at Salina, Kansas, to George Dalme and Barbara Ann Jacobs. He attended the Minneapolis and Herington Schools. He was in the U. S. Army and Reserves and deployed twice, serving in Iraq and Afghanistan. Five years ago, he went to work at Hodgdon Powder Company, as an equipment operator. He was a member of the Hillsboro American Legion, Post #366. He was preceded in death by his grandparents: Don and Donna Jacobs, Leo and Turkio Dalme, Fred and Alice Hoppe, and Walter and Rhoda Neumann. He was engaged to be married to Jenna Williams, September 28, 2019. She survives of their home in Herington. He is also survived by 10 month old daughter, Stella; 10 year old son, Jayden; mother, Barbara Jacobs of Herington; father, George Dalme (Lisa) of Minneapolis; grandparents, Lee and Twila Stieven of Newton; siblings, Grant Skinner, Craig Dalme, Keith Dalme, Maxwell Hannenann all of Salina; Mark Little of Norman, Oklahoma; Christine Ross of Wichita; Stacey Fromdahl of La Cygne; Mandy Traskowsky of Woodbine; and Melissa Potts of Minneapolis, Kansas. Graveside services will be 10:00am, Saturday, April 13, 2019, at the Sunset Hill Cemetery-Herington, with Pastor Darrell Geist, officiating, with military honors. Serving as casket bearers will be Cory Nutsch, Mike Porter, Craig Dalme, Grant Skinner, Robert Scott, Mike Traskowsky, Ford Jacobs, Ryan Fromdahl, and honorary casket bearers are Mark Little and Keith Dalme. Following the cemetery services; there will be a reception at the American Legion Building located at Lake Herington. Memorials to Jenna Williams for Stella Dalme’s assistance/education; and they may be sent to the Zeiner Funeral Home-Herington Chapel, 404 S. Broadway, Herington, KS, 67449-3038.